In content marketing, success isn’t always easy to define. But one of the surest signs your program is on the right track is when your fellow content marketers recognize it as worthy of their attention and their praise. This year, we present the 11th annual Content Marketing Awards, celebrating excellence in 75 distinct areas of our industry – the best and brightest achievements in strategy, distribution, design, and editorial from a field of over 1,200 submissions. With so much amazing work from which to choose, the judges truly had their work cut out for them. In addition to the 75 category winners, four distinguished awards were recognized: Project of the Year, Agency of the Year (fewer than 100 employees), Agency of the Year (more than 100 employees), and Content Marketer of the Year. 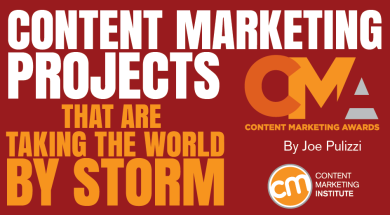 These special honorees were announced in a ceremony September 10 at Content Marketing World. Learn what made the nominees stand out from the competition – and how you can follow in their footsteps: Take a look at the Project of the Year finalists and find out a few secrets of their success. The work: As the fifth largest pain-relief brand by sales, the Excedrin team knew it had to work smarter and harder to compete against rivals with bigger budgets. This meant updating and modernizing its positioning for the digital, mobile era. Excedrin reorganized its approach around content marketing, developing a comprehensive program strategy that encompassed a web-based education hub, social media, banners, video, email, and more – an innovative move for a health-care company in terms of its scope and scale. 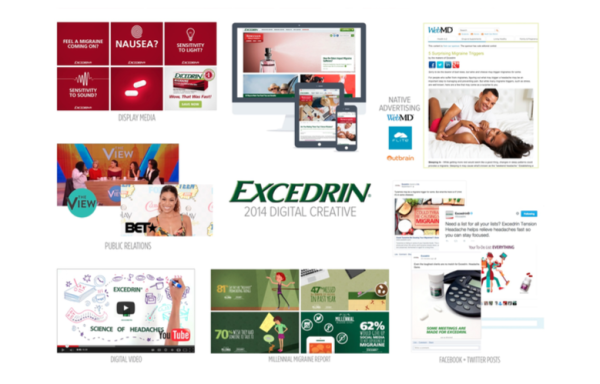 With such a wide-reaching and meticulously executed plan (one of the most well-rounded and well-integrated approaches the judges have seen), it’s no wonder Excedrin also took the Content Marketing Award for Best Content Marketing Program Strategy. 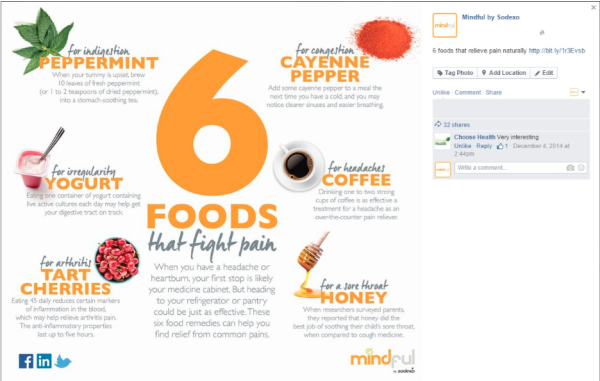 What made it work: Rather than jumping right into content creation, the Excedrin team started by researching the target market’s need for specialized headache relief. The team created an audience map that expanded on where and how the audience prefers to consume media formats, topics, mediums, tonality, and so on. To take the research from observations to practical insights, editorial strategists recommended story themes and creative territories most likely to drive interest. These efforts ultimately helped to define and validate the overall content marketing strategy, which in turn ensured that the content, once created, would help the brand achieve its business goals. How you can work it: As we’ve learned through CMI’s annual research, not only do you need a content marketing strategy to be successful, you also need to document it so that your team can align its efforts across the enterprise. 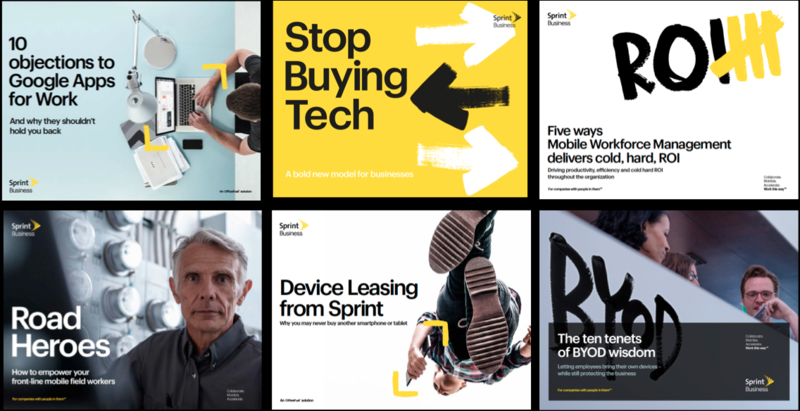 The work: Sprint was looking to create a great content brand to which business decision-makers would return for fresh ideas about applying information technology to business challenges. Its huge launch involved a new brand, a new look, a new website, and a full content marketing program, including messaging, SlideShare presentations, e-books, videos, a new resource center, and a new blog. But what really impressed the judges – and helped earn Sprint the Best Launch of the Year – is that it was all managed masterfully by Velocity Partners in 20 weeks. We believe that your people aren’t just your biggest asset as a business. Your people are your business. Get out of their way and they’ll make you successful. Actively help them do their jobs and they’ll conquer the world. Sprint Business content will help your business tap into the power of people. To remove the obstacles to their success so they can drive yours. The Future of Work is engaged people. How you can work it: Along with a thorough understanding of your goals, a mission statement is one of the two most critical elements of a successful content marketing plan. Defining your content mission helps you prioritize the content you should create and serves as an ongoing reminder of content topics and types that aren’t likely to serve your business goals. The work: When computer-technology company Lenovo was looking to increase its brand awareness and strengthen its lead-generation process, King Content stepped in to develop and fully execute a strategy that combined elements of content marketing, native advertising, social media, email marketing, and marketing automation. In six months, King Content created Think Progress: a series of eight websites (in seven languages) that serve as hubs for the brand’s ongoing global content marketing activities. What made it work: The campaign focused on providing relevant, actionable, and insightful editorial content and resources to its target audience, addressing their key questions and helping them make more informed purchasing decisions. The effort both strengthened the company’s public profile among IT professionals and helped it develop and support stronger customer relationships. As a result of the program, Lenovo was able to increase the value of the leads it received by 63% and increased conversion rates for its outbound-calling program, while simultaneously reducing the telemarketing hours by approximately 50%. How you can work it: If you really want your content marketing to stand out in a crowded marketplace, you need to focus on helping your target audience reach their goals, not just on furthering your own. The best way to do this is through utility marketing – providing something that customers not only would want to use but would also find so valuable that it becomes an important part of their lives. Think about the customers’ needs first and your brand objectives second. 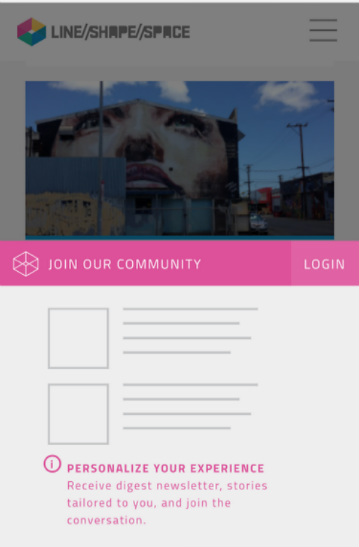 Create and distribute your content without requiring anything in return. Make it worth the audience’s while to share it with others. Fill a gap that no one else has tackled. The work: As one of the world’s largest food-services and facilities-management companies, Sodexo considers healthy, delicious food to be central to its brand identity. But the goal for Mindful by Sodexo was to take the concept of wellness beyond food, positioning it as a tool to help clients motivate their employees and students to make healthier choices – both inside Sodexo cafes and in their own lives. What made it work: The content in this multifaceted campaign speaks to all aspects of wellness, from healthy eating and fitness to stress reduction and career success. By leveraging social media platforms to surface seasonally and topically relevant content, the platform (managed by Rodale Grow) has been able to provide a wide variety of fresh social, email, and website content on an ongoing basis. It’s this diversity – along with a friendly, approachable tone – that enables the program to truly support the company’s content marketing mission: to build a loyal, engaged audience by making a healthy lifestyle more appealing and accessible to them. And it’s working. To date, the Mindful by Sodexo weekly e-newsletter has more than 11,000 subscribers; its Facebook page has more than 45,000 fans, and website page views have increased by 28% year on year. How you can work it: Members of your audience have varying preferences on how, when, and where they consume content. Over time, you should aim to offer options in terms of content formats, as well as delivery platforms and schedules. One content type: Text, audio, video – what type of content can you excel at creating and deliver on a regular basis? One main platform: Website/blog, app store, YouTube – what is your content’s home base? Consistent delivery: Can you produce and publish this content on the same day, at the same time each week? Over time: It can take 12 months or more to start seeing results from your content efforts. Are you prepared to keep up your efforts as long as it takes to gain traction? Once you have started to build a strong, loyal, and growing audience, you need to expand your efforts to better serve the audience’s interests and individual preferences. I refer to this as diversification, and recommend establishing three sturdy content channels or “legs” for your “publishing stool” – one digital, one print-based, and one in-person platform. The work: It should come as no surprise that a company like Autodesk, a leader in three-dimensional design, engineering, and entertainment software, would build its content marketing program around the future – of design, architecture, emerging trends, the Internet of Things, and other innovation-centric topics. Naturally, Autodesk’s storytelling is packaged in a way that is accessible, insightful, and elegantly designed. But what truly stands out about its Line//Shape//Space content initiative is just how future-focused its team is on making things easier and more personalized for its audience. This includes an innovative, mobile-first strategy that is ever-mindful of providing readers with a seamless storytelling experience as they move between devices, which helped to earn the company the Best Mobile Strategy award. What made it work: The Line//Shape//Space team engineered its user experience from the ground up, making it simple to sign up to Line//Shape//Space and clearly articulating to readers the added benefits, such as the ability to save stories to read later, get a more personalized experience based on articles they’ve read, receive digest emails, and vote for content they like or don’t like. All of these benefits also help the editorial team understand how individual readers are interacting with the content across their devices and allows the team to optimize the experience for users as they become more deeply engaged. How you can work it: True personalization can be a complex and challenging endeavor in content marketing for many reasons, not the least of which is that the technique requires analyzing and applying a lot of audience data. Monitor what’s popular: You can track whether your subscribers visit your website and what pages they visit. Then you can automatically trigger personalized emails based on pages they have visited. Go small, then grow: Start with intelligent segmentation – by discipline, vertical, or geography – then move on to behavior-triggered content. Curate more than create: Allow email-list subscribers to subscribe to a particular email newsletter that features select content from only one category of your blog. If you see success, then you can get more granular. Approach personalization with care: You don’t want your audience to think that your marketing is creepy because it knows too much about them. The work: Quiznos’ Toasty.TV Original Parodies channel launched with House of Thrones, a mash-up of two popular shows – House of Cards and Game of Thrones. 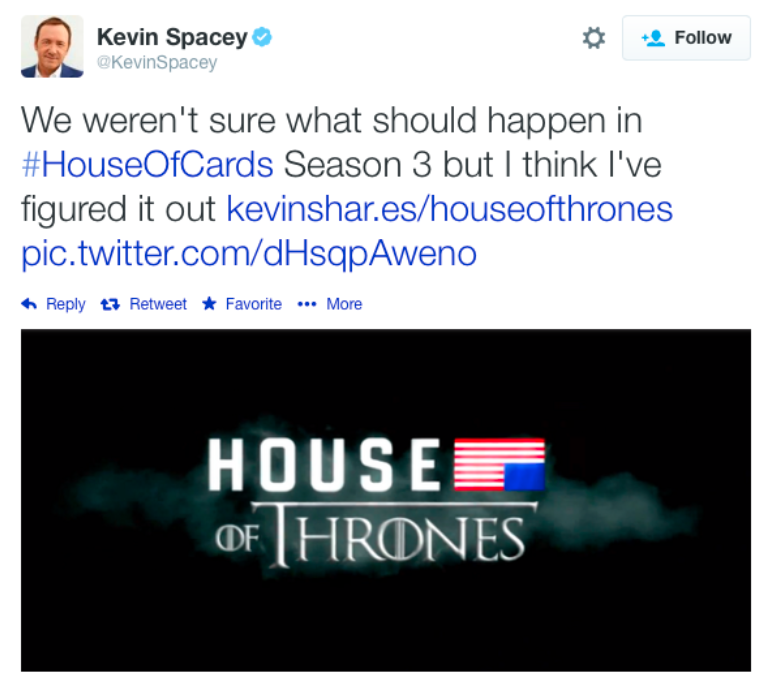 House of Thrones went viral with over 1.5 million views in the first two weeks, and was even mentioned in a tweet by House of Cards’ Kevin Spacey. More mash-ups, like Mad X-Men and Waze Runner followed (along with millions of viewers), helping the brand get its name into the pop-culture conversation, driving consumers into its stores, and cementing its dedication to moving away from traditional advertising. That’s why it won the Content Marketing Award for Best Content Marketing Video Series. What made it work: The main objective for Quiznos’ content initiative was to produce culturally relevant entertainment that would get consumers talking about the brand. Driving store visits, a key performance indicator, took a back seat to creating high-quality content that would capture the attention of its target audience. Having tasted viral success as far back as 2004 with its “spongmonkeys” television commercials, video was familiar territory, making it the perfect platform to further its brand awareness and consumer engagement goals. How you can work it: As CMI’s Chief Strategy Officer Robert Rose has said, video has truly emerged to become both a huge opportunity and a considerable challenge for brands in their content marketing efforts. While consumption of streaming video is on the rise and even B2B marketers are starting to embrace the audience-building power of original video, the competition for attention is getting tougher (Google estimates that more than 300 hours of video are uploaded to YouTube every minute), and the number of platforms available for video consumption is growing, as well. Invest in the process – not just the output. Develop an institutional process and expertise for the creation of videos – regardless of whether the actual execution is outsourced – to be truly beneficial in determining success. Develop specific measurement plans for video. Use the competency of quality to drive quantity. I also would like to take a minute to recognize the amazing agencies and Content Marketers of the Year that took top honors last night. Want more inspiration for making all your content marketing efforts a slam dunk? Check out the best-in-breed examples in our 2016 Content Marketing Playbook.